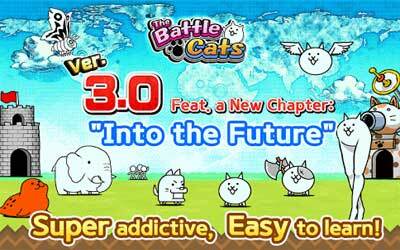 Previous version The Battle Cats 6.2.0 apk for Android will help you to downgrade or install older app easily. This is one of the best Casual apps. In this game, you will play 2D game. Although it is 2D game, you don’t need to worry because you still can play this game in maximum way. You must earn more money because by having more money, you can improve your base and you can also buy troops. The main goal or mission of this game is to destroy enemy base and all armies that created. There are some levels too of this game from the simplest one to the advance level. You can get new cat after you has finished with certain mission. You can also improve skills of the cats. Some special cats will be able to help you in attack your enemies in maximum way. This game offers simple mechanism to play and cute graphics. You can try to play this game and then see your achievement. Now, this game is available for you for free. If you want to play this game, it is better for you to upgrade android OS at least 4.0 on your smartphone. You can download now the battle cats for Android. Just tap on the Cat you want to fight for you! Oh, and maybe you want to fire the Cat Cannon once or twice. Special/Rare only on 4-Star Stages! It’s one of the best games that you could ever get! The cats and forms can be very entertaining.